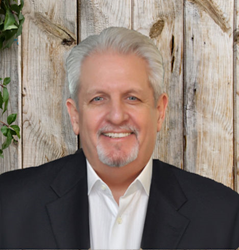 Synergy Restaurant Consultants is moving aggressively into new high-growth opportunities through a partnership with noted beverage expert George Barton. Having George on the Synergy team allows us to assist our clients in the key area of beverages. Barton began his career with Friday’s on Halloween Day 1977, and spent the next 30+ years in operations, moving through the ranks as a general manager, regional manager and eventually Vice President Operations, West and Southwest Divisions. Over the next 15 years, he was responsible for up to 150 company and franchised TGI Friday’s locations, and led a successful re-engineering initiative to improve food and beverage production and procurement. This resulted in dramatic changes to the entire business process, and achieved significant results in revenue and margins. Barton, who views himself as a facilitator of change, next took on Friday’s bar and beverage program, reinforcing the brand’s beverage platform, including all alcoholic and non-alcoholic product innovation, and created best-in-class LTO and promotional initiatives. He also developed and improved supplier/buyer relationships in the complex arena of beverages. “Success in beverages is all about moving quickly to stay with the trends, and being nimble enough to continually engage customers,” says Barton. “This is especially true with the Millennial customer base, who are always looking for the next big thing. It’s too easy to fall into a sea of sameness if you don’t stay current with guests’ demands.” Barton also stresses the role that social media plays in the spread of trends, when a single market program can reach new customers within 24-36 hours. “One of the biggest challenges is being able to integrate new products and menu items into a system,” adds Barton, explaining that it’s one thing to innovate, and another to undertake a successful introduction and make it stick, or anchor the change. And with today’s emphasis on bartender-driven beverage programs, as well as the growing importance of serving serious food at the bar, restaurant operators need to step up their game to take advantage of all the opportunities. As a premier restaurant consulting firm, Synergy Restaurant Consultants is a team of restaurant management professionals that develops innovative ideas and creates sustainable brands to drive top-line sales. Our restaurant consulting team specializes in both launching new restaurant startups and jump-starting struggling or financially distressed brands. Since 1988, Synergy has been a strategic resource to more than 250 national and independent restaurant companies within every dining segment, from Applebee’s to Z’Tejas. The company is based in Newport Beach, Calif.